If you have ever lived in a Muslim society, I bet you must have heard these words frequently, e.g., Insha ALLAH, Masha ALLAH, Alhumdulillah, etc. Whether practicing or nonpracticing, these words are jargon of Muslim community so much so that you might hear these words from non-muslims too who chose to assimilate in Muslim society. However, this writes up will discuss how to use Insha ALLAH correctly. The very first question about the use of Insha ALLAH is where to use it? The answer lies in its meanings. Insha ALLAH means ” As ALLAH wishes” or ” If Allah wills.” In accordance to its purpose, Insha ALLAH is in the situations where we discuss an event which will happen in future or whenever we intend to do something in future. In Arabic, the word Insha Allah written as “ﺍِﻥ ﺷﺎﺀ اللّٰہ.” However, we have often seen people writing it as ﺍﻧﺸﺎﺀﺍﻟﻠﮧ. 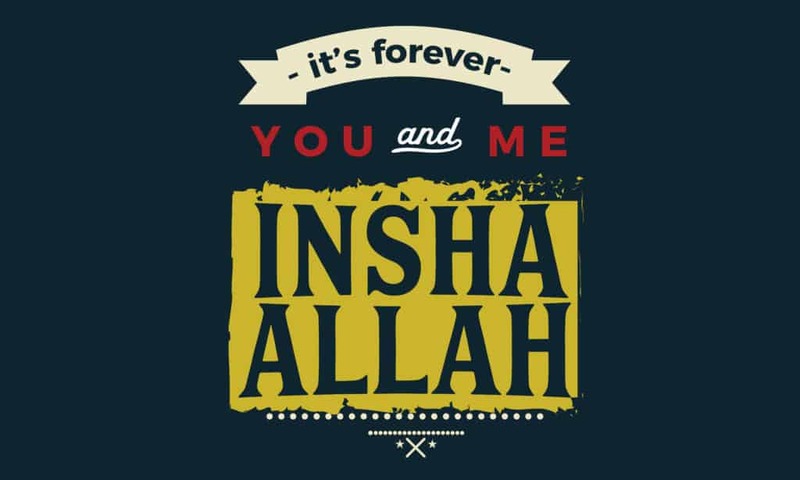 In English, we often write the two initial words collectively like Insha Allah. Both words seem similar. In fact, they sound identical in pronunciation. But they are very different from each other. You might argue how writing ﺍﻧﺸﺎﺀ is wrong while you must have seen this word in the Quran many times. The difference lies in the meaning of both. ﺍﻧﺸﺎﺀ means “being born” while ﺍِﻥ ﺷﺎﺀ means ” By the will of.” Thus ﺍﻧﺸﺎﺀﺍﻟﻠﮧ will mean ” Born of ALLAH” ( may Allah forgive us) which is sinful to say. The frequency of usage of In Sha ALLAH makes this mistake more dangerous. 2. ﻗُﻞْ ﺳِﯿﺮُﻭﺍ ﻓِﯽ ﺍﻟْﺄَﺭْﺽِ ﻓَﺎﻧْﻈُﺮُﻭﺍ ﮐَﯿْﻒَ ﺑَﺪَﺃَ ﺍﻟْﺨَﻠْﻖَ ﺛُﻢَّ ﺍﻟﻠَّﻪ ﯾُﻨْﺸِﺊُ ﺍﻟﻨَّﺸْﺄَۃَ ﺍﻟْﺂَﺧِﺮَۃَ ﺇِﻥَّ ﺍﻟﻠَّﮧَ ﻋَﻠَﯽ ﮐُﻞِّ ﺷَﯽْﺀ ٍ ﻗَﺪِﯾﺮ. All these instances use this word in a different context. All these examples use ﺍِﻥ ﺷﺎﺀ in the same context of “if ALLAH wills.” Hence proven, the correct form is ﺇِﻥْ ﺷَﺎﺀ َ ﺍﻟﻠَّﻪ. We can see how a slight difference in a word alters the meaning of Scripture. Thus we must be vigilant in using Arabic words correctly. Unfortunately, Arabic is not the mother tongue of all 1.3 billion Muslims in the world. As a result, we make mistakes while reading and writing Arabic words. It’s our responsibility to educate our selves and our future generations with the correct usage of Arabic words. 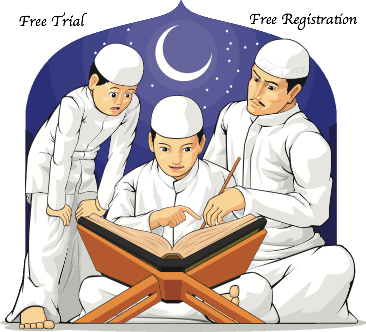 The good news is, AlQuranClasses offers Tajweed ( how to pronounce words of Quran) and Arabic grammar classes. A free trial is also available here. Let’s learn and improve our selves.